Slots are among the most easily-recognizable games in any casino, so if you have ever visited a brick-and-mortar establishment or have played online, there is a good chance you have come across this type of game. Slots enjoy such a tremendous popularity that they are to be found outside casinos, including in airports, hotels and even bars on some occasions. This tremendous success is easy to explain – slots are quite simple to play and anyone, regardless of their level of experience, can potentially collect a huge payout. Unlike other casino games the likes of poker, baccarat and blackjack, slots do not call for a particular set of skills because the outcome of the spins relies solely on chance. It is hardly surprising all established online casino operators have opted for adding hundreds of slot variations to their gaming portfolios. As a matter of fact, online slots are pretty much identical to the slot machines one can find in landbased gambling venues. They operate on the same principle as the outcome of each spin is determined by programs, called Random Number Generators, which is to say each rotation of the reels is not affected by the outcomes of the previous or subsequent spins. In other words, whether you win or lose is based on luck. Less experienced players are often drawn by the possibility of collecting a colossal payout with a single spin of the reel which further adds to the popularity of slots. Prior to placing your first bet on your slot of choice, you need to become better acquainted with how slots work. The good news is the principles on which slots operate are pretty simple to grasp. Each slot has a specific number of reels, typically three or five. These are the vertical sections that are set into motion whenever you click or press the Spin button. Each reel has a predetermined number of symbols on it and can stop rotating either on a symbol or on the black spaces between symbols. The earliest 3-reel slots commonly had about ten stops per reel but on today’s advanced slot machines, the number of stops may range between 30 and 50 for each reel. In order for players to win, they need to line up a given number of identical symbols on the paylines. Think of the paylines as the possible winning combinations that would render a payout. Simplified 3-reel slots used to have a single payline only, which was usually positioned across the middle of the reels. 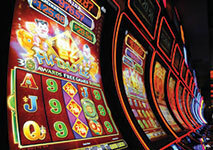 The number of paylines on advanced 5-reel video slots may reach or even exceed one hundred. These run diagonally, vertically or horizontally across the reels and may even zig-zag or take on V-shapes. The greater number of paylines only works to the advantage of players. More paylines equals more winning combinations, which increases players’ chances of collecting a payout. Gameplay itself is rather simple. The first thing players need to do is select their coin denomination and how many coins to bet per payline. To calculate the overall sum a spin will cost you, you simply need to multiply the amount of your bet by the number of paylines. For example, if you have selected $0.10 as your coin denomination and bet one coin per round on a total of 30 paylines, each spin will cost you $3.00. If the paylines are not fixed, players will also be able to select the lines they wish to activate and bet on. If a given payline is deactivated, it will not render a payout, even if the player succeeds in landing the winning symbols on the line. Once you have decided on your coin denomination, number of coins and how many paylines to bet on, you simply press the Spin button to set the reels in motion and wait for the outcome. Should you land a winning combination, the profits will be immediately added to your casino account’s balance. While one is not required to be a genius to play the slots, understanding how their payouts work is of essential importance. The first thing players need to do is check their preferred slot’s paytable as it contains information on its available paylines, payouts and special features. Special attention needs to be paid on the game’s multiplier or the number of coins that are played per line. 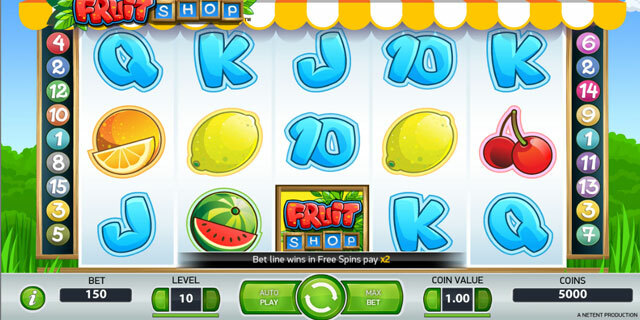 For instance, if your preferred slot pays out five coins when you land three lemon symbols on a payline, you will collect fifteen coins for this combination provided that you have bet three coins on this spin. The payouts also differ depending on which identical symbols you land on the paylines. There are high-paying and low-paying symbols, which are all listed in the payline. Typically, low paying symbols are represented by high cards like Aces, Tens, Jacks, etc. The paytable also contains information on the slot’s bonus games, rounds of free spins and special features like wilds and scatters. There are several different variations of slots you may come across at online casinos. Classic slots typically have only three reels and a limited number of paylines. In most cases, 3-reel slots are simplified in terms of visuals and features. They lack bonus symbols, wilds and scatters and offer one to five paylines. More often than not, the traditional cherries, lemons, plums, bells, and lucky-sevens are used as symbols on the reels. Since there are fewer paylines, classic slots pay out less frequently but when they do render a payout, it is usually more substantial. The majority of video slots you can find at online casinos utilize five reels and boast a greater number of paylines, which typically varies between twenty and a hundred. The greater number of paylines significantly increases players chances of hitting a winning combination. On some video slots, players get to choose which lines to activate and bet on. On others, the paylines are fixed meaning that you have to bet on all of them on each single spin. Advanced video slots offer more frequent but usually smaller wins. What can further increase players’ profitability are the additional special features, inherent to these slots. These are explained in further detail in the next section. Once you load one such video slot, it will immediately strike you the graphics and animations are clearer and more appealing to the eye. The authentic sound effects further add to the video slots’ entertainment value. One variation that is in particularly high demand among fans of this casino game is the progressive slot. These slots can truly change the lives of players because they have massive jackpots attached to them, which increase incrementally. Thus, each spin adds to the overall jackpot amount, which continues to increase until somebody lands the winning combination that triggers the gargantuan prize. Then the jackpot starts accumulating again, typically from a predetermined amount in order to maintain the interest on behalf of players. In order to become eligible for the progressive jackpot, players are often required to place the maximum bet amount and activate all available paylines. There are different progressive jackpots. In some instances, the jackpot is linked between casinos that use the same software and thus, the prize accumulates quicker to reach millions of coins. 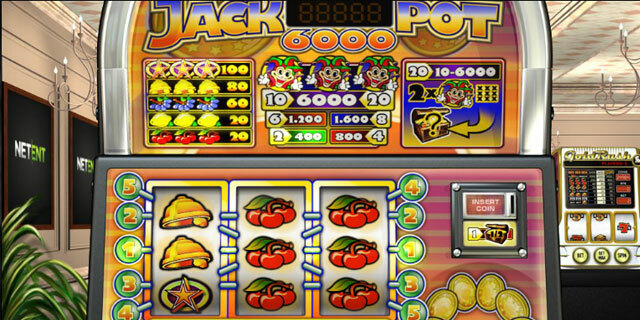 However, there are some standalone jackpots which accumulate across a single casino only. Obviously, winning a progressive jackpot is not something that happens every day. As a manner of fact, players’ chances of collecting the pot are roughly the same as winning the lottery. What is more, progressive slots tend to pay out less frequently when it comes to regular wins. As was mentioned previously, advanced video slots have plenty of lucrative features to offer. These not only enable players to scoop more generous payouts, but help them diversify their gameplay. Some of the most advantageous features to look for are the multipliers as they can boost your profits on winning paylines by a pre-determined amount. Wild symbols, on the other hand, can help you complete winning combinations on the paylines as they substitute for symbols players need in order to collect a payout. Scatters are yet another symbol enthusiastic slot fans tend to look for when choosing which game to play. These are important because, unlike wilds, they are not required to land on a specific payline in order for the player to bag a payout. They pay out wherever they land on the reels. In addition, scatters can also trigger other special features like rounds of predetermined number of bonus spins and bonus “pick me” games with guaranteed prizes. 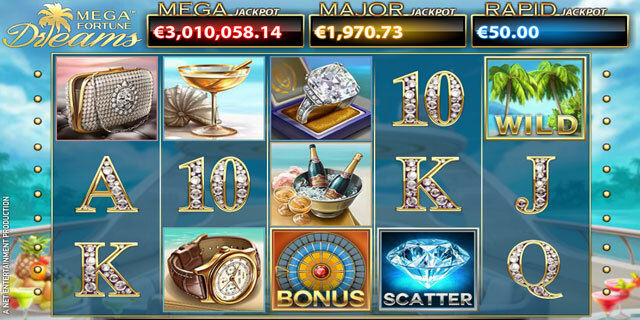 Some online slots have an additional Gamble feature which resembles a mini game. 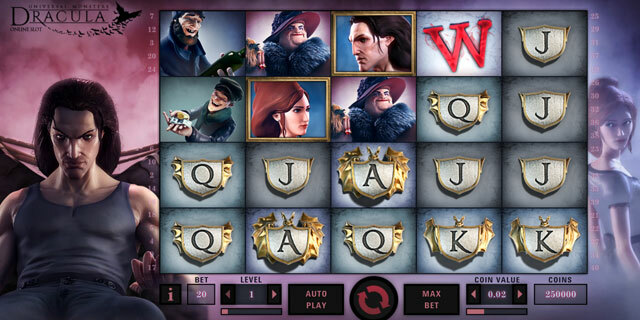 Players can double or even quadruple their profits on winning combinations by playing a side game. This often involves either a coin toss, or predicting the color of the suit of a face-down card. A correct guess doubles the profits, otherwise you lose what you have originally won. Slots may be easy to play as no skill or experience are involved or required to win. Nevertheless, there are several things players need to factor in before they set the reels in motion. The first thing you need to consider are the number of paylines and whether they are fixed or not. We have said it before but it bears repeating – the more paylines there are, the greater your chances of collecting a payout. Another important thing to consider is the average Player Return Percentage or the RTP of the slot. The higher the average return, the better. Generally, players are recommended to look for slots where the RTP exceeds 95% or 96%. The slot’s volatility is also worth a mention. Slots can be divided into two categories – those that have lower volatility and those with higher volatility. Slots with higher volatility typically offer more generous payouts which occur less frequently. Therefore higher-volatility slots are recommended for players who possess a bankroll, big enough to carry them through a string of losing spins until they finally score a big payout. Slots with lower-volatility, on the other hand, offer plenty of action as their wins occur more often but the payouts are much lower. This renders them suitable for players who enjoy more action and are satisfied with smaller, yet frequent wins. Chip denomination does matter. As a rule of thumb, slots which utilize smaller coin denominations tend to offer lower player return percentages, on average, while those with larger denominations come with higher payout percentages. This is an important thing to factor in when choosing which online slot title to play. When playing an online slot with a progressive jackpot attached to it, make sure you bet the maximum amount allowed per spin and activate all paylines. If you fail to do so, you will not qualify for the huge prize and even if you land the symbol combination that triggers the jackpot, you will not be eligible to collect it. Finally, slot novices should remember that the outcomes of all spins are independent of one another. The spins to follow are not affected in any way by the outcomes of the spins that preceded them as the results are always determined by Random Number Generators to ensure everyone has equal chances of winning. Do not fall prey to the Gambler’s fallacy and never chase your losses – no one is ever due to win. If the jackpot is not what you are aiming at, there is not much point in playing the progressives as they tend to render regular wins less often. If you want to play slots for real money, you can choose one of the online casinos we have reviewed on this page. All of them utilize fair and independently audited RNGs, offer the best bonuses and promotions for slots players, and provide great customer service at all times. We are confident that you will have a great experience at these online casinos and enjoy timely, secure and fair payouts.